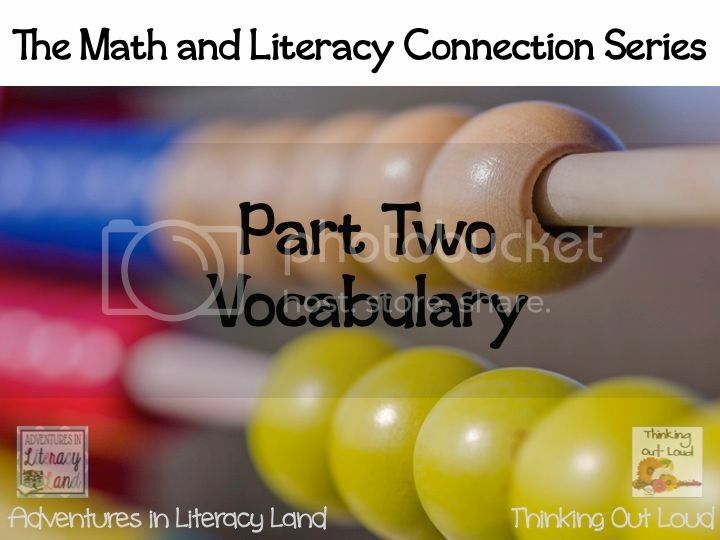 One of the big connections between math and literacy is teaching academic vocabulary. Without understanding of key vocabulary in math, students will struggle with each concept. 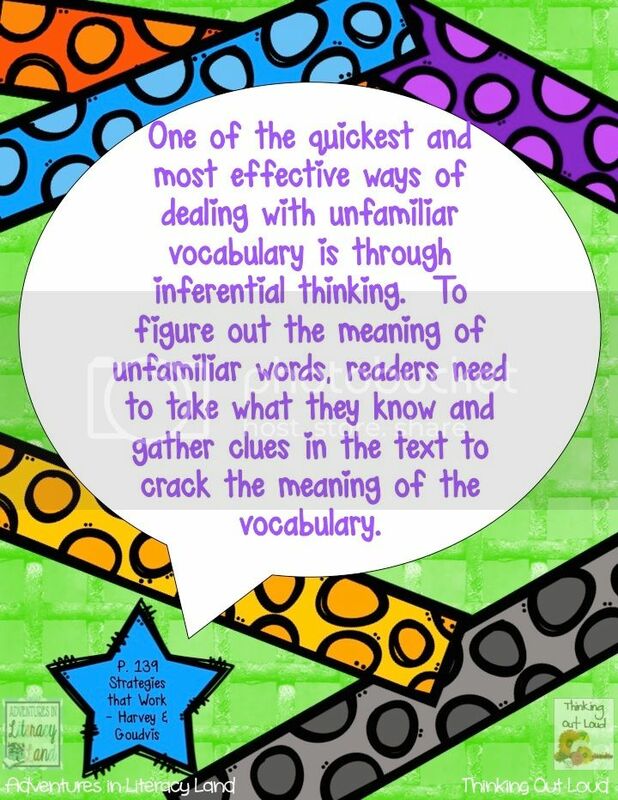 Because a teacher cannot assume that students will automatically understand content vocabulary, the teacher needs to employ the vocabulary strategies used during literacy instruction to mathematics. 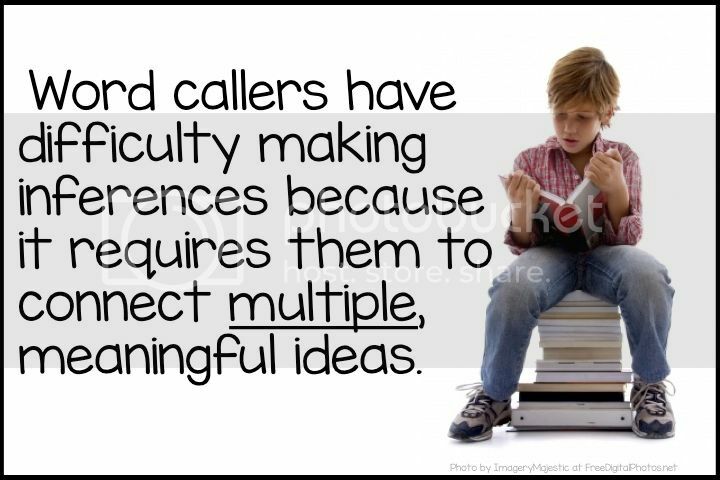 Mathematical literacy is dependent on vocabulary knowledge. Many of the words have meanings in math that are different from the meanings in every day use. Knowing a word is more than just knowing the definition, which means that looking up definitions in the dictionary/glossary is not an effective way to help students create a firm foundation. A fellow instructional coach and I created an interactive vocabulary strategy to help our students. We used this strategy in grades PK-12 in all subjects. The strategy has five steps that are easy to follow and help you create a plan to teach vocabulary more explicitly. The goal of this step is to choose 3 words per topic that are the most important to understanding the concepts being taught. They are "umbrella" words that other vocabulary would fall under during the study of that topic. 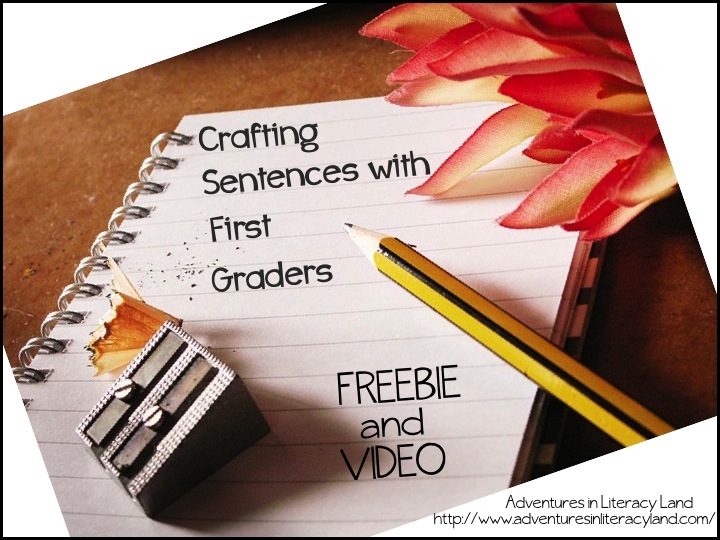 Introduce the words without directly telling students the definitions of the words. Give clues about the words using images and objects associated with the word. Have students infer the meaning of the word and write a description. This description is a starting place for their understanding of the word and the description will be modified as they learn more. Create a class chart with three columns: word, text clues, inferred meaning. Model creating a graphic representation (see FREEBIE below for template for this step) of one of the words making sure to think out loud for students about why the graphic was chosen. This is a great step for students to do in groups. CLICK HERE to download this strategy and CLICK HERE to download an example way to interact with the words - Word Association. "I think vocabulary strategies this year are a lot stronger than ones last year. Now I can understand what words mean without struggling to memorize a definition from a dictionary. Also, things are easier to sink in now." "I love doing the skits and pictures, and I also love Pictionary and the clues. Last year I didn't like learning vocabulary so much, but this year it's easier to learn the words when we're having fun." "I love doing vocabulary this way instead of just looking up the definition the old way where you just copy out of a glossary. It was much easier to learn this way." 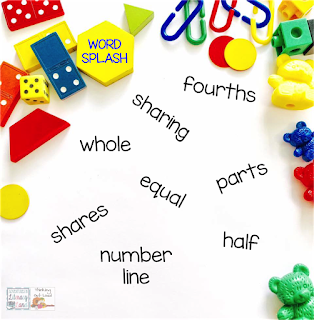 If you missed the first post in the Math and Literacy Connection Series, go back to read about why the connection is important and learn about another vocabulary strategy - Word Splash. Next month I will continue the series with poetry...math and poetry make a fantastic connection. Two years ago, I connected with some online reading friends and this blog was the result. The journey has been fantastic. In celebration of our blog birthday this month, we are reacquainting each of you with our authors and introducing new authors. We are also doing an awesome giveaway at the end of the month, so keep checking back for more information. Last school year, I entered a new realm in my educational life as a math/science instructional coach after being a literacy coach for six years. 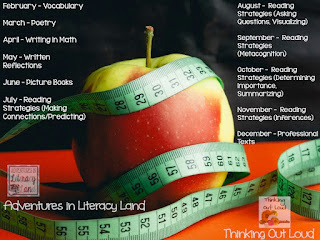 I continued to blog here to keep current on what works in literacy instruction. This year I am excited to focus on blogging about making the literacy connection in math. Using the strategies students learn in reading during math, they can become better mathematicians, so they won't have to "chuckle about not being good at math." Each month, I will tackle a different topic that will help you make stronger connections between your math and literacy instruction, which will in turn help your students become more confident readers and mathematicians. 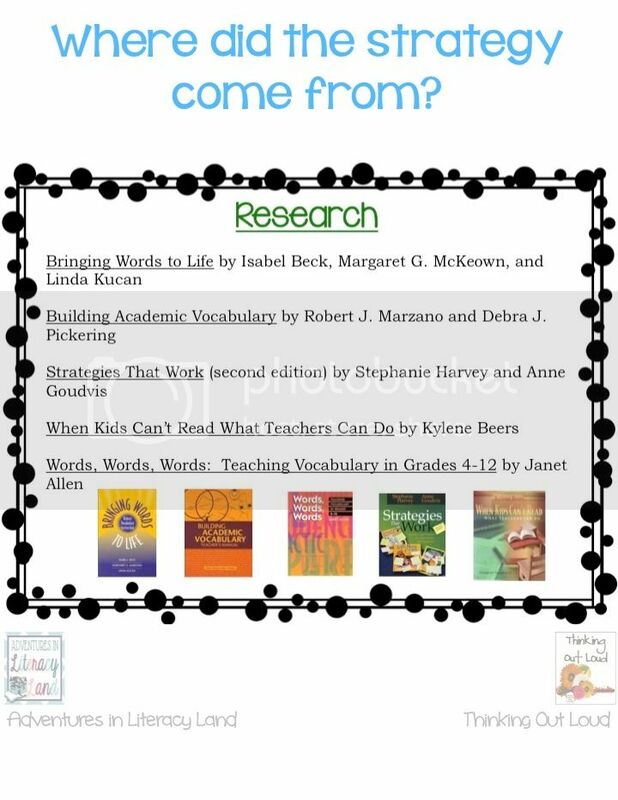 As a preview of what is to come, we will kick things off by talking about how to use a common literacy strategy in math: word splash. 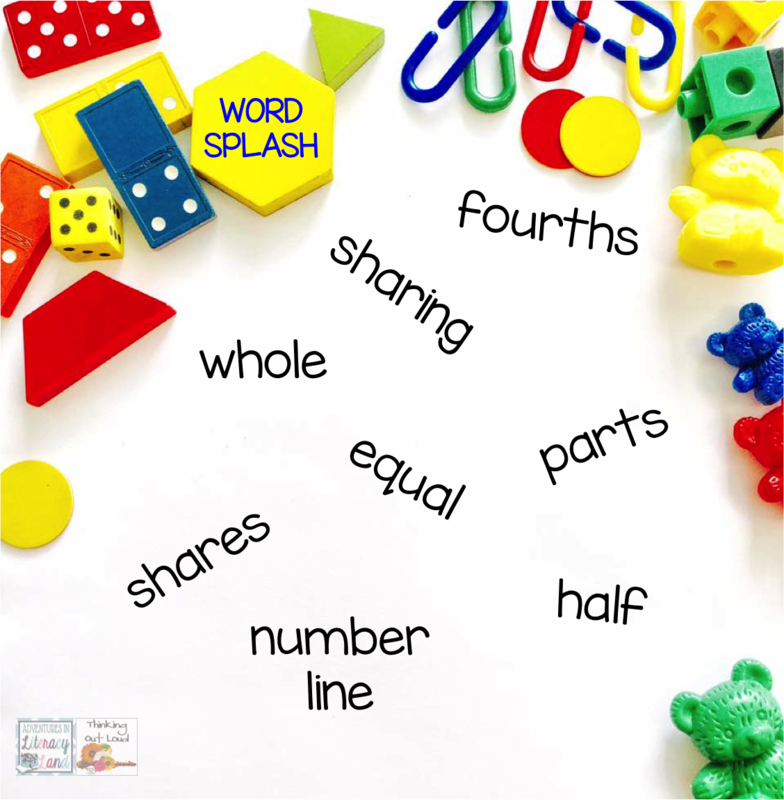 Word splash is a comprehension and vocabulary strategy where words and short phrases about a concept are "splashed" on the whiteboard, Smart Board, windows, or a large piece of paper. Students create statements that connect at least two words/phrases as predictions about the concept(s) they are about to study. What I love about using a word splash is it connects the beginning of the lesson to the end of the lesson. Students make predictions. You teach them about the concept (in this example - introduction to fractions). Finally students come back to their predictions and determine which were correct and which were misconceptions. 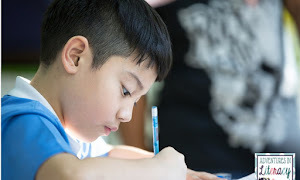 To turn it into a summarizing activity, you can add some additional words learned through the lesson (examples: numerator, denominator, thirds, halves) and have students create summary statements (or paragraphs) that connect as many words as possible in a meaningful way. 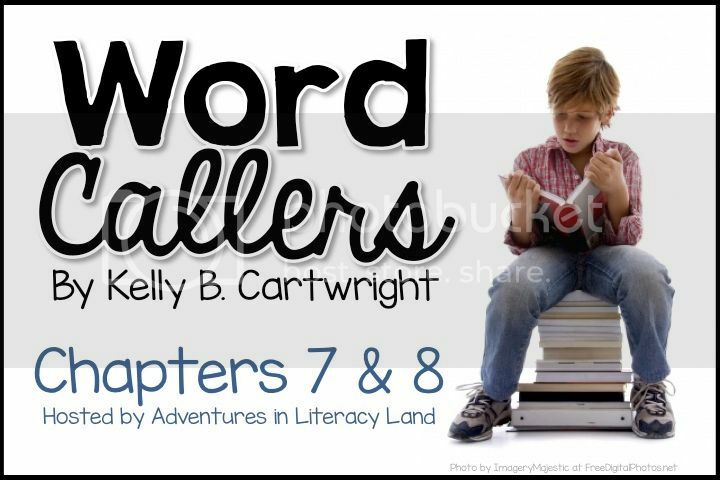 Word splash is an easy way to facilitate a discussion with students and providing them scaffolds to use the correct terminology. Word splash is also a great way to give a pre-assessment and post-assessment without giving a "test." Want to take it to the next level? Have students create their own word splashes. OR get the students moving. 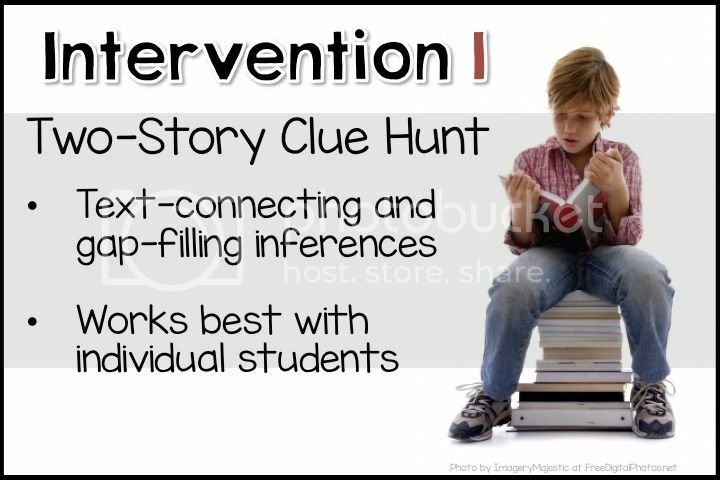 Write each word on an index card (or name tag) and give one to each student (or place in random parts of the room). Give students the opportunity to mingle and talk to each other about what they know about the words for five minutes. Then have students go back to their seats to write connecting statements individually. What are the connections to literacy? So, so many: making predictions, making connections, vocabulary, writing statements that require students to think about similarities and differences, summarizing. Friday was my last day of school for this year and I am already thinking about plans for next year. This school year I started a new role in a new school as a math coach and in an effort to learn more about the math content, I have left many of my reading coach thoughts behind. 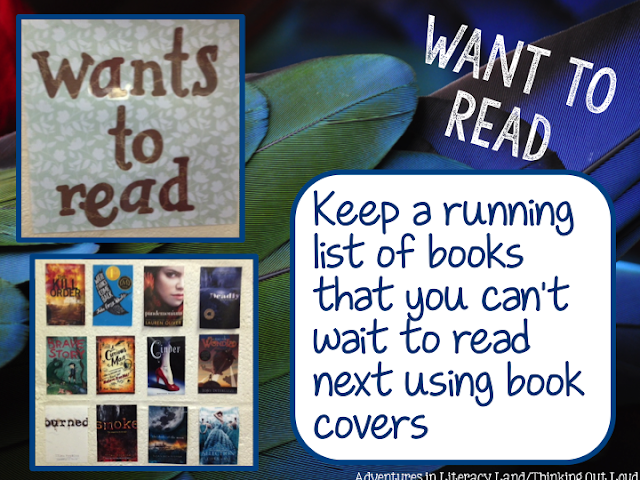 However, next year I want to do my part in creating a community of readers in my school. 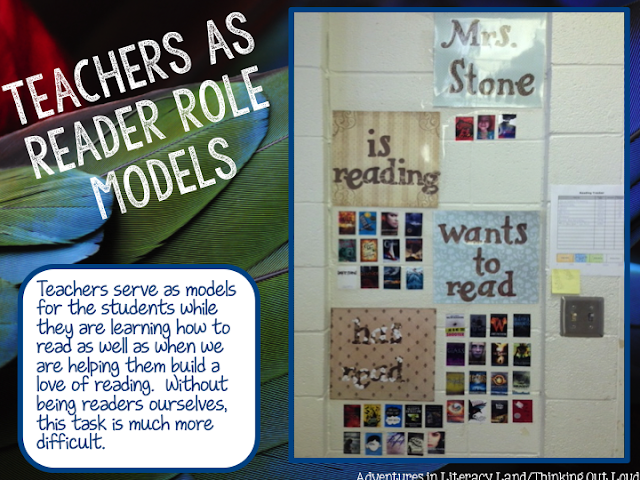 One of my favorite ways to show students that I was a reader was to show them exactly what I was reading. I didn't take pictures of how I did this :( However, I did find pictures of what my fabulous high school teacher/academic coach friend did, and I can't wait to share with you her display. Her display put mine to shame. Let's take a look at each part of her display in detail. At the time, Mrs. Stone taught ninth grade English for two periods to a group of students she had been teaching since the sixth grade. Each year she looped up with her students. They had formed a very special bond with her. She spent the rest of her day being a master teacher (academic coach) to the other teachers in the high school. She, like myself, was always reading more than one book at a time. In order to keep up with what was current and be able to recommend books to her students, she read a lot of young adult fiction. Not mention that we both LOVE reading young adult fiction books! 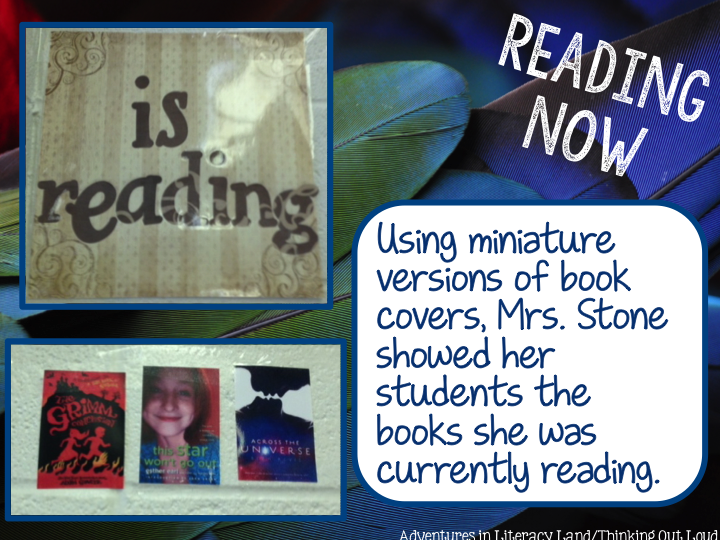 I love how she printed miniature versions of the book covers to use instead of just listing a title. Book covers are works of art themselves and I love showcasing them. They are first impression students have of the book. Using book covers again, she listed the books that were in her TBR (to be read) pile. Her students had lists in their notebooks of books they were interested in next and hers was just a visual representation of that list. The students liked to see what she would be picking from next and the list also encouraged the students to check out the books themselves. Once she finished reading a book, she moved the book cover from "is reading" to "has read." She would then give book talks on the books and the line would begin of students wanting to check that book out. At the beginning of each quarter, Mrs. Stone had a conference with each student and helped them set a personal reading goal. The goals were set in terms of number of pages read, not number of books. 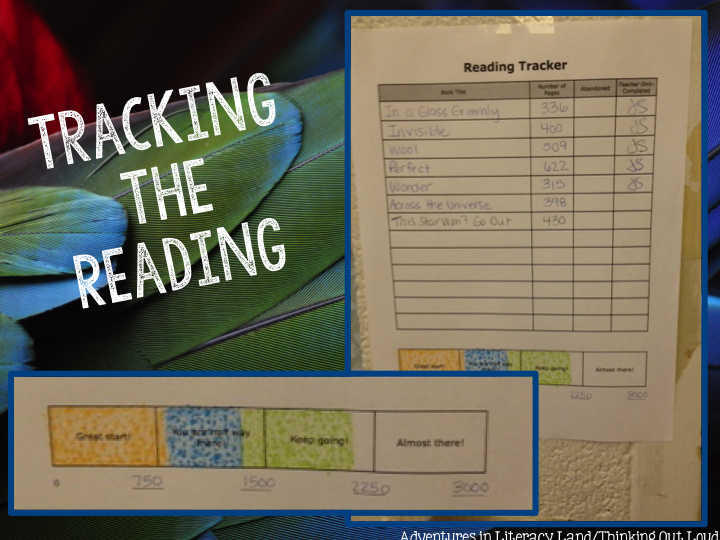 Students kept this tracking form in their notebooks. Students were not competing against each other; they were working on meeting their own individual goal. The student completed the title and page number section. Mrs. Stone would then initial the completed column after they showed her in some fashion that they comprehend what they read. I really liked the progress bar at the bottom. Once a goal was set (hers was 3000 pages), the students divided the goal by four (750 for her) and set smaller goals on the way to completion of the major goal. As students neared the completion of their goal, they colored in the progress bar so they would have a visual of how far they had come. This post is dedicated to Mrs. Stone. She is still working at my last school and I miss working with her on a daily basis. She is a true inspiration. She cares deeply for her students and inspires them to take their reading to new heights. Summer is one of my favorite times because I have more time to read than I do during the school year. Also, (please don't throw things at me) I like attending professional development opportunities provided in my area by the local educational cooperative. My FAVORITE professional development every year is "So Many Picture Books...So Little Time" presented by Wendy Ellis, Director of the Reading program at Harding University. She shares over 50 picture books during the PD that are current (published in the previous year). It is the best way to keep current on all the great books being published. Today, I am going to share some of my favorites with you. Sit back, relax, and be prepared to add some books to your Amazon wishlist. Farmer Simpson wants to sleep, needs to sleep, but isn't getting any sleep because the sheep keep coming up with reasons why they aren't ready to go to bed. What will he do? How will he get the sheep to sleep? As I read this book, I immediately made a text-to-text connection between the sheep (and all of their excuses) and to the pigeon in Mo Willem's Don't Let the Pigeon Stay up Late who continually made excuses why he should be allowed to stay up. Duncan wants to color, but his crayons have other plans. Each crayon writes him a letter with their grievances. What will Duncan do? Will he ever get to color again? This book has a FABULOUS book trailer that gives you hints about how each crayon is feeling. You probably know Ree Drummond better as the Pioneer Woman. She also write books. Charlie is her basset hound that lives with her on the ranch. The book starts with Charlie seeing the kids going to school (home school) and he decides that he can have his own school. Find out what happens by reading this adorable book. You can read more about the book on her blog HERE. The book also has a recipe at the end for Strawberry Oatmeal Bars that look delicious. My little girl loves her Llama Llama board book that we read every night as part of our going-to-bed ritual. This Llama Llama book is a great read to help students understand what bullying is. Llama Llama is learning a lot of new things at school, but Gilroy Goat is teasing him. What is Llama Llama going to do? What will happen to Gilroy? Kid President has a video that would be a wonderful accompaniment to this book: Kid President Pep Talk. One of my favorite lines from the video: "If we are on the same team, then we need to start acting like it." Read the Llama Llama book, watch the video, and have students discuss what connections the video has to bullying. This spin on the classic "Little Red Hen" is great for introducing young writers to the writing process. Little "Read" Hen wants to write a story, but none of her friends will help. What will she do? This book has phrases that keep you laughing and engaged throughout the story, like "busted her tail feathers." At the end of the story, there is a "recipe" for a story that would make a marvelous bulletin board to showcase student writing pieces. The author has a page on her website that has activities to go with the book: educator guide and theater script. Thanks for sticking with me through these recommendations. Dr. Ellis did share over fifty books with us, so be on the look out for more posts here and at my blog. I LOVE a great picture book! I hope everyone had a wonderful Easter weekend! 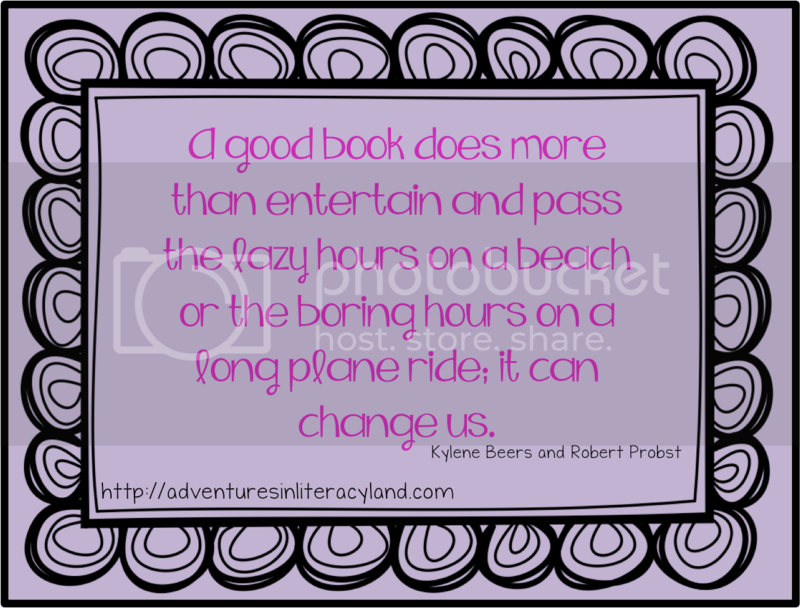 I spent part of the long weekend reading Notice & Note: Strategies for Close Reading by Kylene Beers and Robert E. Probst. I have a ton of thoughts running through my head now that I am finished. I thought I would share two of them with you today to help me better understand what I have read. Common Core Standards require students to closely read a variety of texts. What does that mean exactly? 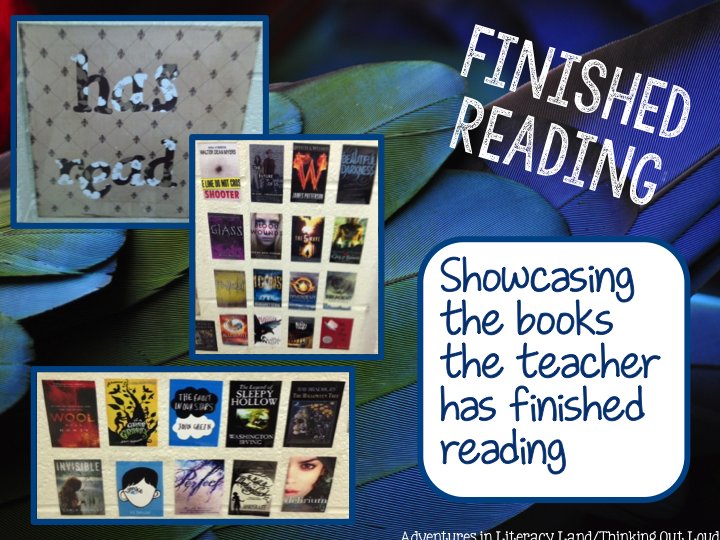 I have seen the posters everywhere on Pinterest and in the blogisphere that breaks close reading down to what you do each time you read the text (reading the text two to four times). Many of those say that students should be annotating as they read. My question has always been: How are students supposed to know what they should be writing in the margins that is actually helpful in deeply understanding a text? It seems too simple to just have them write a question mark next to a part where they have a question or an exclamation point next to something that was surprising. 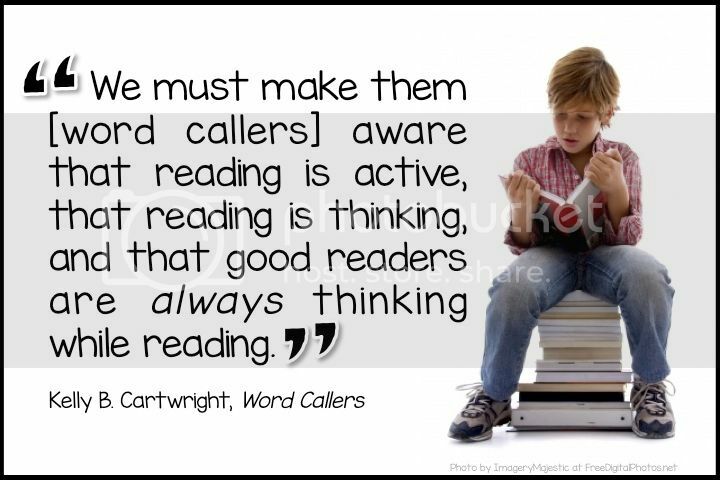 If they are closely reading, there should be a transaction between the reader and the text. Students should be thinking deeper about the questions they are having or why he or she finds the part surprising. 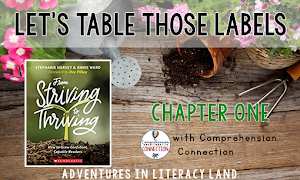 Beers and Probst give you six signposts that you can teach your students to help them dig deeper into the text and create meaning by transacting with the text at a deeper level. What do you do to help your students dig deeper into a text without leading them to the meaning you derived from the text? I don't want my students to become dependent on me. 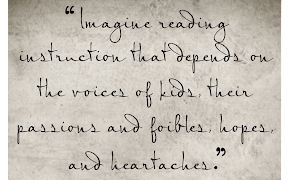 I want them to be independent readers. Questions they create on their own are more engaging and authentic than any question I could ever write. Students are trained that there is 'a right answer' when the teacher asks a question. If I am the only one creating the questions, they will never fully engage in the text. One sentence really stood out to me and I came back to it over and over again. I would love to know: What book has changed you?